All of our cleaning processes are specifically designed to address the proper and thorough cleaning needs of all types of natural stone including travertine, limestone and slate. Powerful and safe cleaning solutions, rotary brush agitation, high pressure cleaning and a soft water rinse will leave your floor, countertop or shower stall looking like new again. We offer a deep-cleaning process for slate, travertine and limestone floors, countertops and shower stalls. To clean your surface, we apply a special natural-stone cleaning solution. The stone is then agitated with a series of rotary brushes. We then use our fresh hot water rinse under high pressure to remove grease and deep down soil. We recommend sealing the entire surface after cleaning since travertine and limestone, like all natural stones, are porous and will absorb dirt and other particles if left unsealed. This can cause the surface to look dirty even after conventional mopping. Our premium penetrating sealant seals the stone from within. 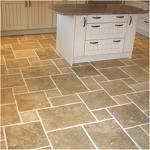 This helps to prevent future staining and soiling without affecting the natural stone appearance. Please call us today at 512-327-7553 or email info@austinspecialtycleaners.com for your free in home inspection and estimate.